Join the minions in a crazy jumping experiance. Jump as high as you can to find the bananas with the Minions. It has plenty of space for up to 6 people at a time to bounce, hop, skip, and jump to their heart's content. 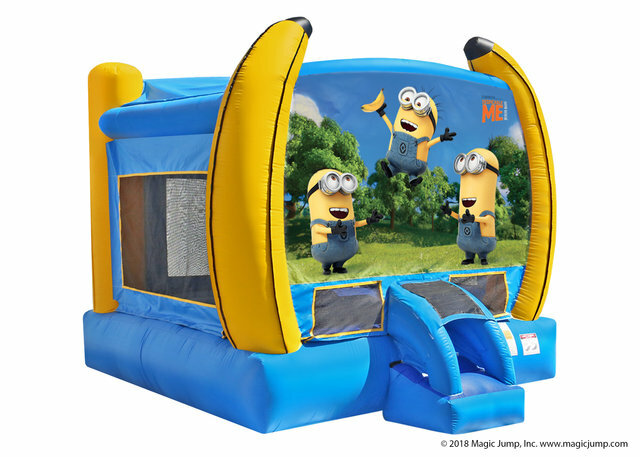 Go Bananas while you hop aside your minion friends and dunk a ball in the basketball hoop inside. All the Disney Inflatables come with safety matts and a new entrance design. The new entrance comes with a cover to make sure your little minions are safer when they exit and enter the inflatable.